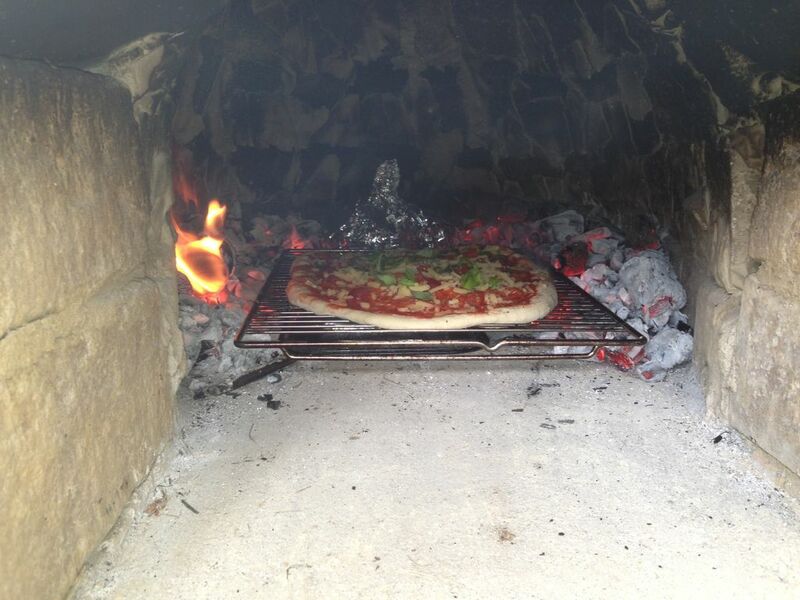 This diy project is for all our food lovers who love the taste of a freshly made pizza, just taken out from the oven. 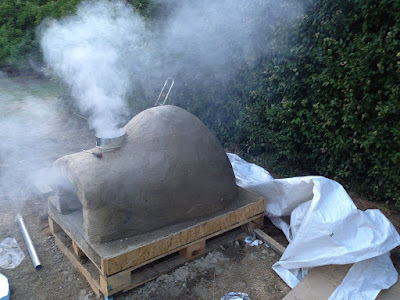 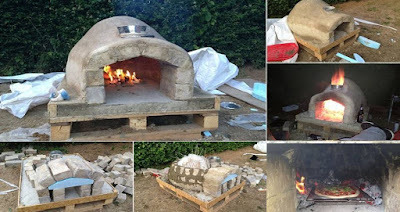 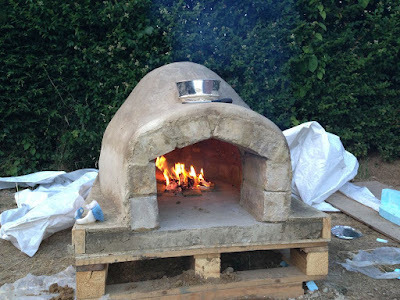 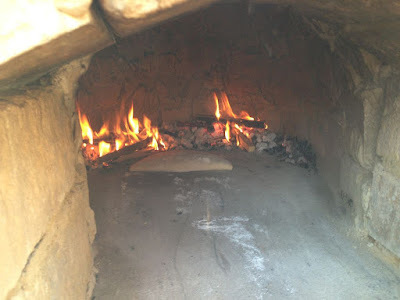 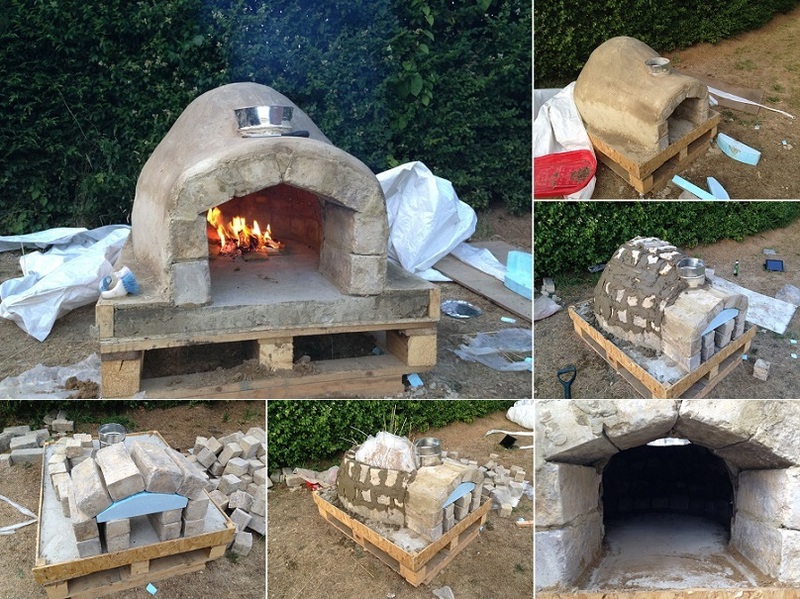 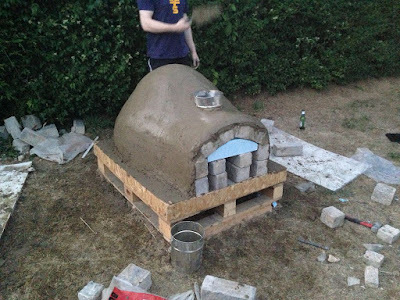 You can really make your own pizza in the backyard by building this oven and do some parties by inviting friends over and surprising them in a creative way. Materials and tools that you will need are: at least one bag of sharp sand and a bag of builders sand, a bag of cement and some aggregate, heat resistant bricks, a wooden pallet, mixing spade, a trowel for brick laying, drill, wood saw, some wood screws, outdoor chipboard, a few unused pieces of wood or foam for shaping the arch, large sheet of cellophane and a bucket or pot for the chimney. These materials and the quantities for them may vary on the size of your oven. 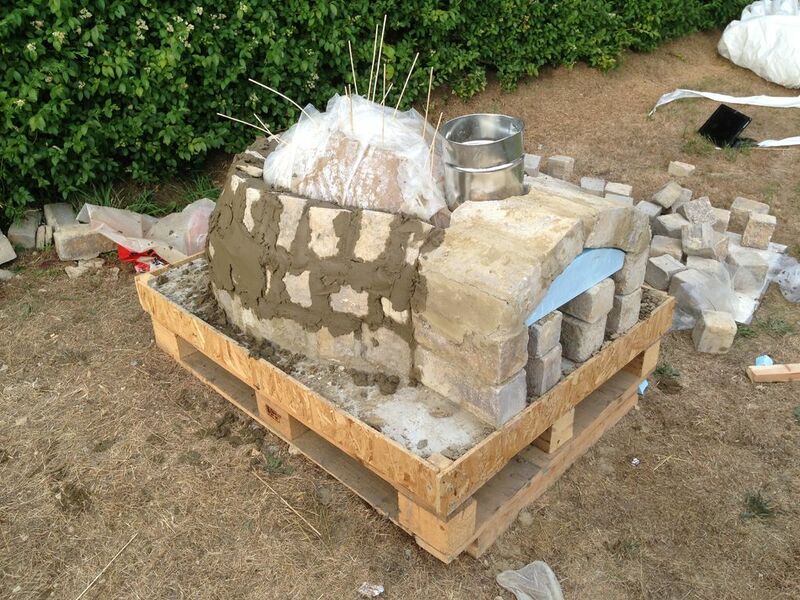 Let’s start by creating the base for the oven with the help of the pallet. 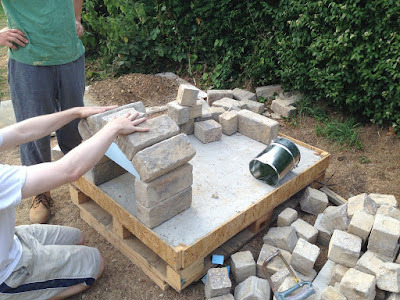 Make a mix of one part cement, four parts aggregate and two parts sharp sand, take the spade and pour it in the wooden pallet mold. 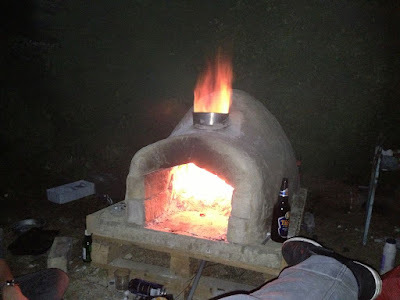 Flatten the surface. 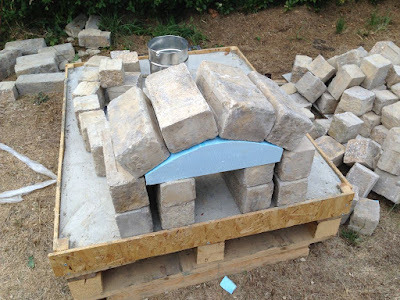 Arrange bricks as you can see in the pictures and create the arch. 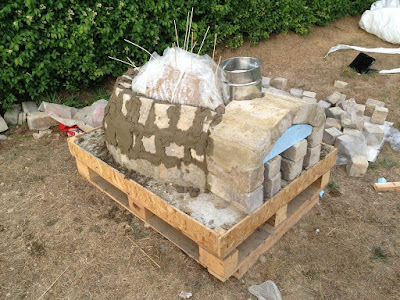 Mix one part cement with three parts fine sand and start glueing on the first ground layer (for the inside), put the cellophane sheet across and continue adding layers. 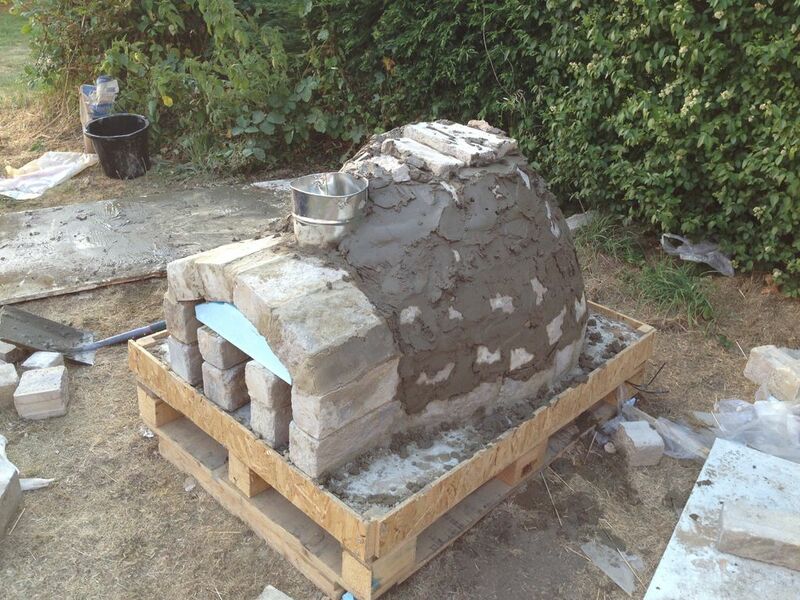 Add a bucket or pot for the chimney. Add another cement layer to the exterior of the oven and leave it to dry for a few days. Done!